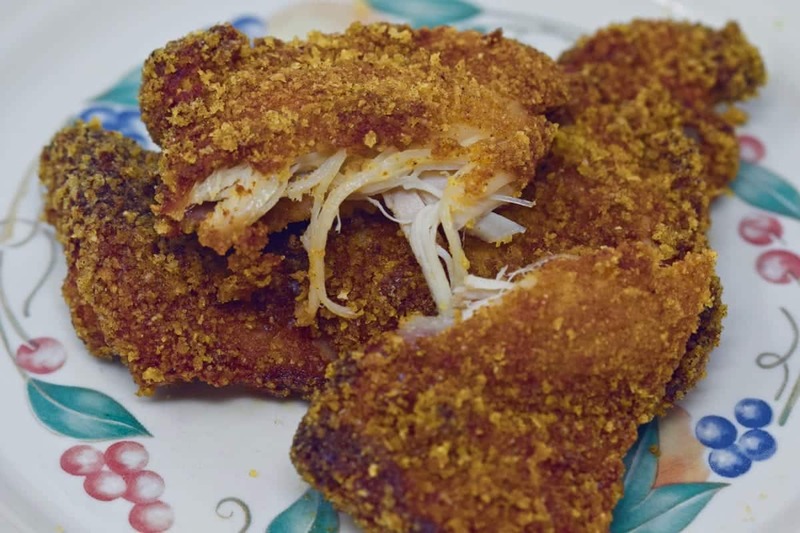 Set chicken aside to "soak"
Place the chicken thighs in the air fryer basket, being careful not to crowd them; only place what will fit easily in the basket! 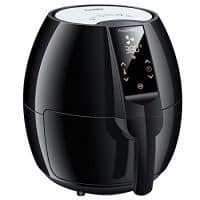 Let the air fryer work its magic and gobble down! Does this actually taste like KFC?? Craving it badly!! We use a lot of the same spices, so the taste is very similar. But, keep in mind they also add a lot of additives and flavor enhancers we don’t add for obvious reasons. So, we think it’s pretty close but of course, their recipe can’t be duplicated totally without the same exact ingredients. 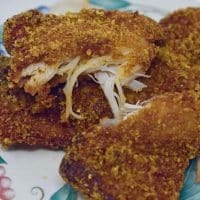 Could you use a regular deep fryer to cook these with no issues? I don’t see any reason why a deep fryer wouldn’t work. I made this today in the oven, as I don’t have an air fryer and can’t afford one right now. Still tasted good, but the “skin” was very loose and I had to use a fork and knife to eat it. I’ll probably pan fry it with some coconut oil next time. Did you use skinless thighs? If not, that might help with the loose skin you ran into. Hopefully, you enjoyed the taste and will make them again! How many net carbs is the serving? 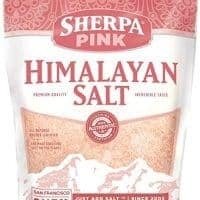 Can’t wait to cook and try this. There are 0 net carbs in this recipe.